Thanks to the benefits that it offers in terms of productivity and employee satisfaction, BYOD remains a popular option for many companies and the market is predicted to be worth $360 billion by 2020. 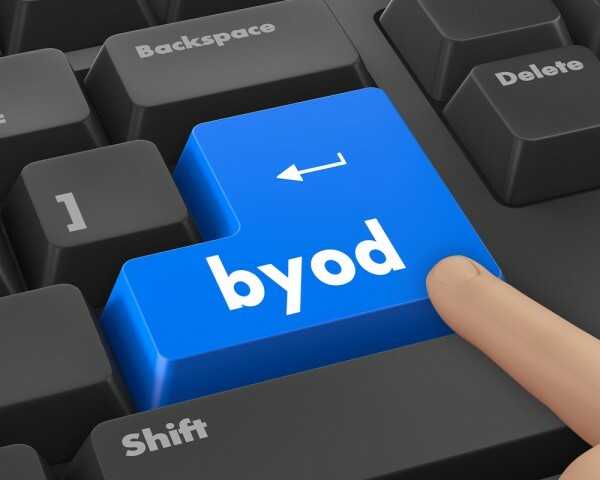 But a new report from Crowd Research Partners in conjunction with some leading data security vendors -- including Bitglass, Blancco Technology Group, Check Point Technologies, Skycure, SnoopWall and Tenable Network Security --provides a conflicting portrayal of BYOD security barriers and adoption trends in the workplace. The biggest factors inhibiting BYOD adoption are revealed as security (39 percent) and employee privacy (12 percent). In contrast, management opposition (three percent) and user experience concerns (four percent) rank much lower. The survey results also show that one in five organizations suffered a mobile security breach, primarily driven by malware and malicious Wi-Fi. It’s not too surprising then that security threats to BYOD are a burden on organizations' IT resources (35 percent) and help desk workloads (27 percent). Despite increasing mobile security threats, data breaches and new regulations, only 30 percent of organizations surveyed say they are increasing security budgets for BYOD in the next 12 months. Meanwhile, 37 percent have no plans to change their security budgets. "BYOD can be a tough nut for organizations to crack", says Pat Clawson, CEO of Blancco Technology Group. "Despite its many benefits, our study found that 21 percent of organizations have experienced a data breach resulting from BYOD or corporate-owned mobile devices. This often creates a chicken-or-egg scenario -- where organizations contemplate whether to push forward with BYOD without having complete security controls in place, or to postpone until they can be absolutely certain data won't be leaked. To change this, we need to educate businesses on the full scope of mobile security risks and technology solutions that can help them protect data across the entire lifecycle -- and get the C-suite to understand the impact on overall business growth". The complete report is available to download from the Blancco Technology website and there’s a webinar to discuss the findings on April 14.